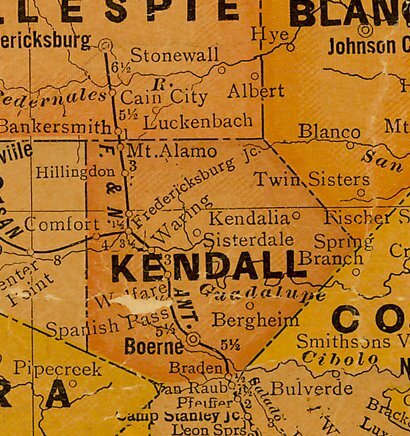 Bankersmith’s history began with the arrival of the San Antonio, Fredericksburg and Northern Railroad in 1913. 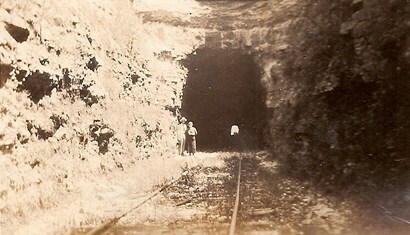 The route was between Fredericksburg and Comfort and the uneven terrain necessitated a tunnel – one of two in the state. The unusual name was for Temple D. Smith, who was indeed a banker. As president of Fredericksburg’s first bank, Mr. Smith knew the opportunities that a railroad offered and became an ardent supporter (and financier). The town received a post office in 1914, but it was sometimes unclear in which county it was listed. 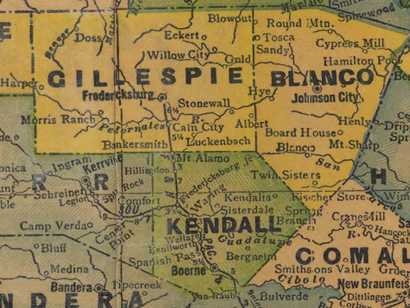 Depending on the abode of the postmaster, it was sometimes in Kendall County and sometimes in Gillespie. Bankersmith reached its apex in the 1920s when it had a population nearing 50 people. By 1930 the number of residents had fallen to a mere 10 residents. Five years later the railroad had gone broke and the post office closed its doors in the 1940s. After WWII people left in search of better-paying work and the number of residents fell to only 20 people. 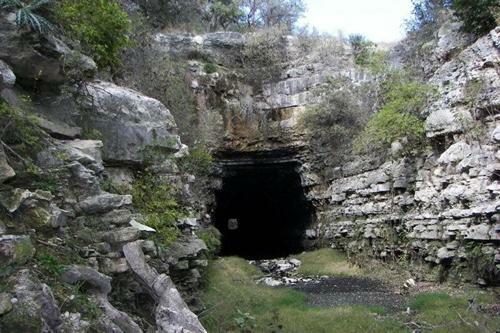 The most noteworthy feature around Bankersmith is the old railroad tunnel – a man-made sanctuary for thousands of bats. 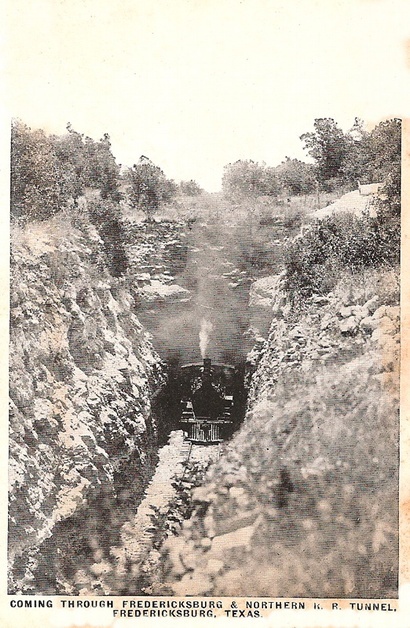 "Banker Smith is best remembered as the driving force behind the Fredericksburg Railroad. 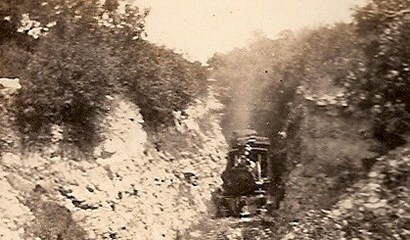 He spent years of his life and a considerable part of his wealth, bringing the railroad to town. "Today, if you follow FM 1376 from San Antonio to Sisterdale, then take FM 473 west and go beyond the road to Waring, you'll find where an old but still paved road forms (or used to form) a T intersection with 473. If you turn north and follow the road and the bed of Black Creek, you will be paralleling the route of the F&N, and just about the time you reach the ghost town of Hillingdon you'll see, crossing the creek, the remains of the F&N's longest trestle. Just north of that the road crosses almost directly over the top of it and there is an historical marker you'll find the hill country's only railroad tunnel. 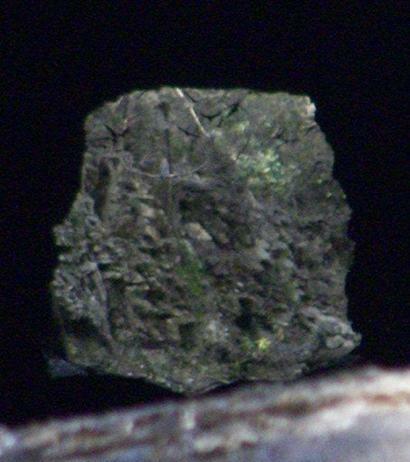 The tunnel is still there, all 920 feet of it inhabited, in the fall, winter, and spring, by millions of bats. The bat flight from the tunnel at dusk resembles rising smoke. During late spring, summer, and early fall, it's home to more rattlesnakes than you'll ever want to meet in one place again." "The light at the end of the tunnel...and about a million bats!"